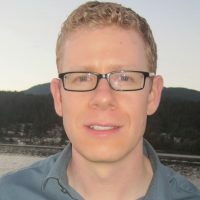 Dr. Otterstatter is a Senior Scientist and Epidemiologist at the BC Centre for Disease Control (BCCDC) and Assistant Clinical Professor in the School of Population and Public Health, UBC. His work focuses on statistical and mathematical modeling to inform disease epidemiology and public health action. This work spans communicable and chronic diseases and recently includes modelling of HIV, tuberculosis and hepatitis C. Much of this work involves collaboration with government and non-government stakeholders as a consultant and scientific advisor in epidemiology and biostatistics. Dr. Otterstatter holds a doctorate from the University of Toronto, as well as MSc and BSc degrees from the University of Calgary. Previously, he was a postdoctoral fellow with Health Canada and worked in cancer surveillance with the Public Health Agency of Canada in Ottawa.